Anders Shafer has selected his works, from the 1970s to the present, that were significant to his development. Most of the works are sequential visual stories. 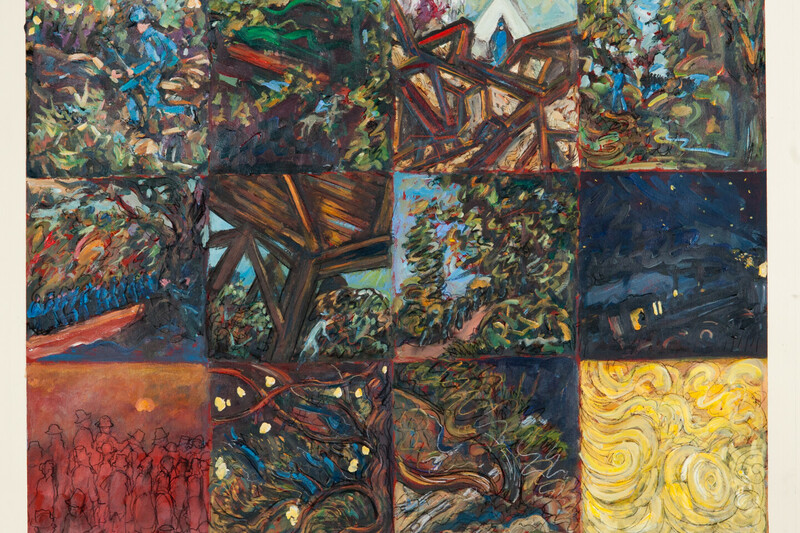 Over the years he explored more abstract and “painterly” approaches to the sequences in watercolor, oil, wax and acrylic. Lately, he has been influenced by his “plein air” work. Shafer is a retired Distinguished University Professor who taught for 43 years. He has work in many museum and public collections and had work in about 200 national and regional competitions, winning over 45 awards. The gallery can be located on the library's second floor.